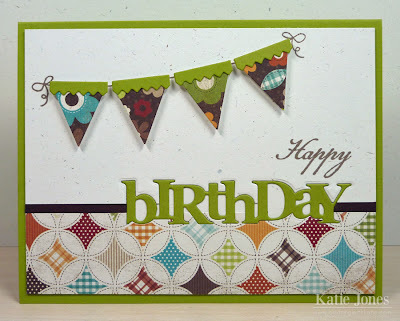 Betsy Veldman has a fun Papertrey Ink Make it Monday Challenge over at Nichole's blog this week: inlaid die-cuts. I love the look, so I had to give it a try. To get started, I cut strips of rustic cream and dark chocolate cardstock, along with a strip of patterned paper from Simple Stories Harvest Lane collection. I adhered them together on the back side with some washi tape and then used the Wonderful Words: Birthday die to cut out my word. 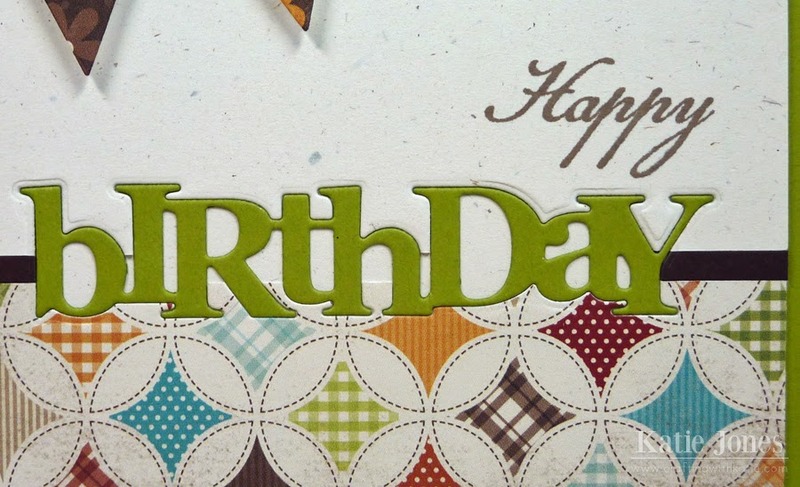 I took out the "birthday" cut and adhered the resulting frame to a piece of rustic cream cardstock. Then I cut "birthday" again using simply chartreuse cardstock and nestled it into the frame. The "happy" stamp is from Wreath for All Seasons. 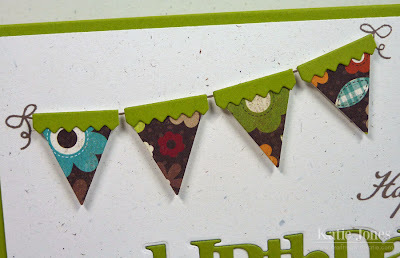 I pulled out my old Banner Builder stamps and dies to add a fun banner, using another pattern from Harvest Lane. I like the simple design of this card and the inlay technique looks very cool. I like the banner also. Super job! Katie ~ Oh this is so COOL! The in lay is just so neat to look at! Plus the papers are so darn PRETTY! I might have to try this! My Creative Time November Blog Hop! More Fun from Kerri Bradford! 1st Project from Kerri Bradford's New Class!